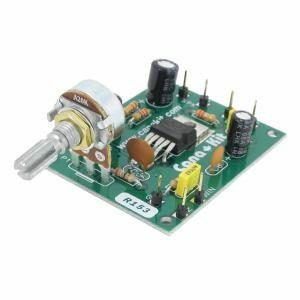 Three Stage FM Transmitter Kit – CK0207. Soldering required. 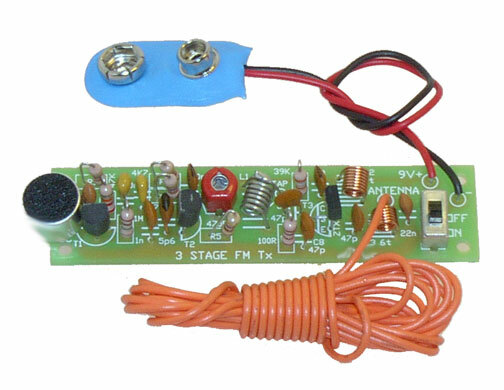 Three Stage FM Transmitter Kit. 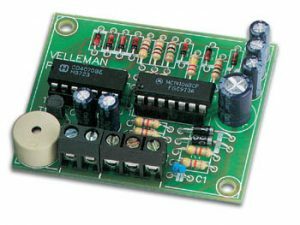 A powerful little electronic circuit with surprisingly good audio quality. Great for monitoring baby’s room, or other happenings in your home or business. An electret microphone is used to add sensitivity. Three Stage FM Transmitter Kit. 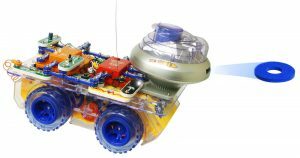 A powerful little electronic circuit with surprisingly good audio quality. Great for monitoring baby’s room, or other happenings in your home or business. An electret microphone is used to add sensitivity. 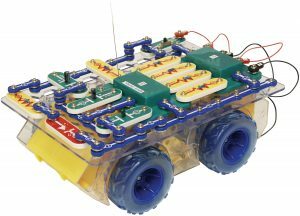 The circuit comes with a nine volt battery plug, but can operate on 6 to 12 volts DC. PCB is 3/4″ wide by 2-3/4″ long – DIY K32. L: 2-3/4″ W: 3/4″ H: 1/2″. Microphone will pick up a pin drop.